Mill Creek Alzheimer's Special Care Center has a warm, homelike atmosphere with resident rooms that are both spacious and comfortable. 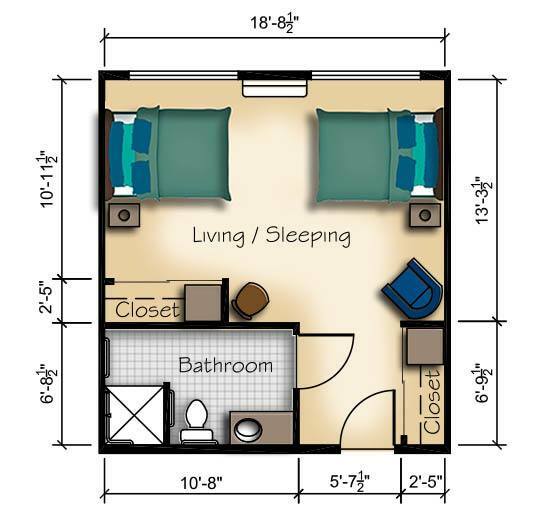 We offer a choice of unfurnished apartments allowing you to make it feel more like home with your own furniture and favorite keepsakes. 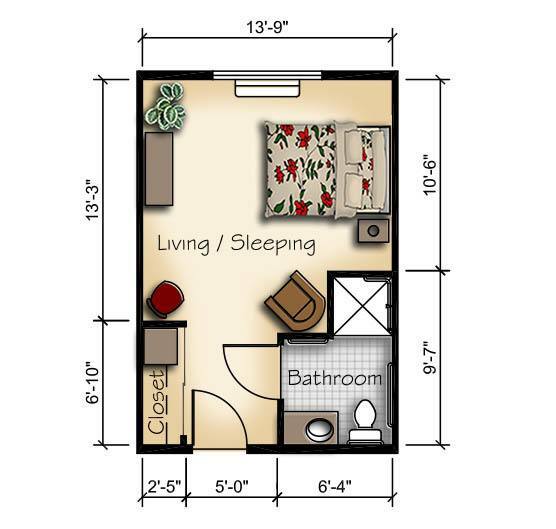 View our different floor plan layouts below.